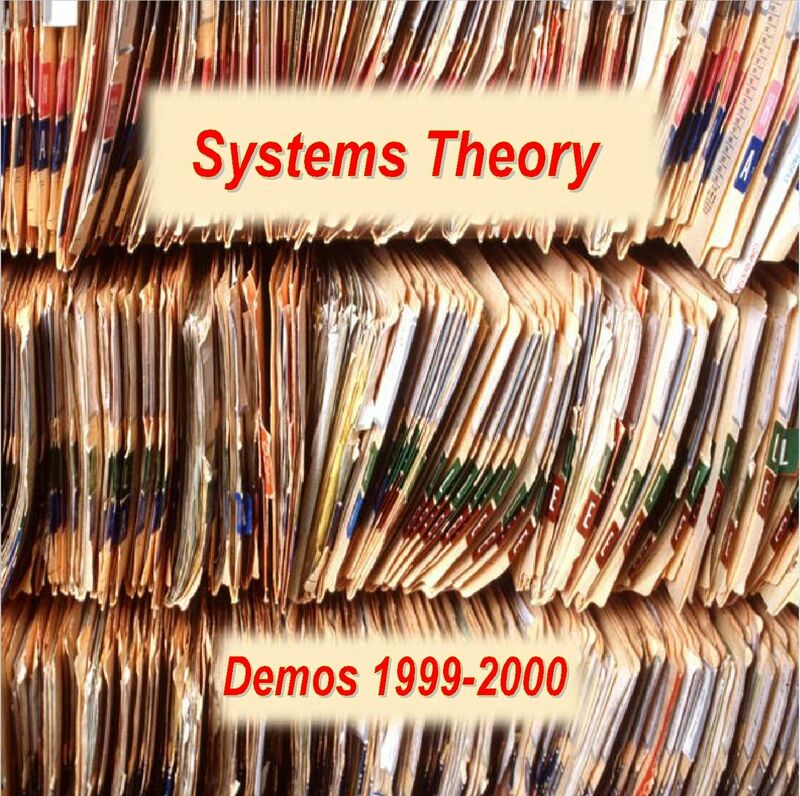 Here are five of the close-to-finished demos intended for the debut release by the Systems Theory project. Additional compositions are in various stages of completion. From this combined pool we'll pick the 60-70 minutes that best fit together. These demos have been available as MP3 downloads from our website, and will probably make the final cut for the official album release in some edited form. We hope that the long-delayed album will be ready to go by Christmas 2000, only a few years behind schedule! In the mean-time, these tracks will give you an idea of where we're bound. If you can find time, please give us some feedback (pro or con). Leave it at the web site or send us email. 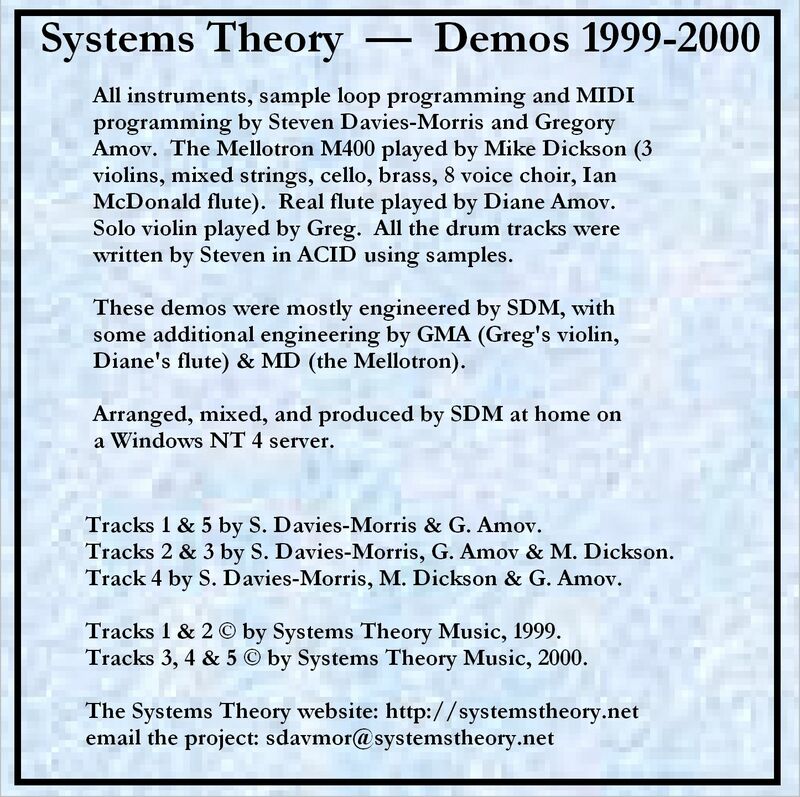 All instruments, sample loop programming and MIDI programming by Steven Davies-Morris and Gregory Amov. The Mellotron M400 played by Mike Dickson (3 violins, mixed strings, cello, brass, 8 voice choir, Ian McDonald flute). Real flute played by Diane Amov. Solo violin played by Greg. All the drum tracks were written by Steven in ACID using samples. These demos were mostly engineered by DSM, with some additional engineering by GMA (Greg's violin, Diane's flute) & MD (the Mellotron). Arranged, mixed, and produced by SDM at home on a Windows NT 4 server. Tracks 1 & 5 by S. Davies-Morris & G. Amov. Tracks 2 & 3 by S. Davies-Morris, G. Amov & M. Dickson. Track 4 by S. Davies-Morris, M. Dickson & G. Amov. 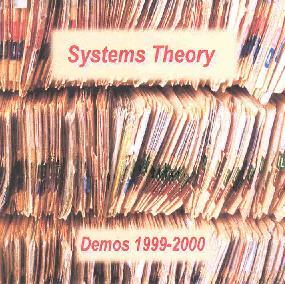 Tracks 1 & 2 © by Systems Theory Music, 1999. 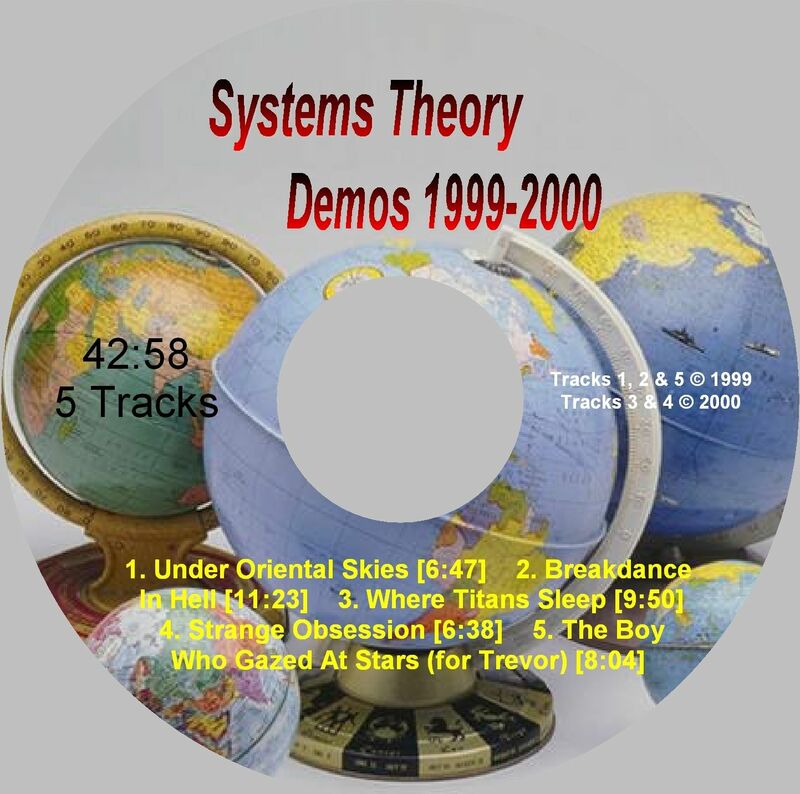 Tracks 3, 4 & 52 © by Systems Theory Music, 2000. The sleeve notes were a bit optimistic in our timing, of course. Not only was Soundtracks for Imaginary Movies still a few years away, none of the tracks listed above made it to the album. Part of the reasson was the way in which we were working, with sound samples being passed from one to another without any great idea as to how they would end up on the track. That, plus a rather catastrophic computer crash put paid (more or less) to any ideas we had of including these tracks in our first album. Arguably that probably strengthed the album overall, allowing us to focus on newer and more 'considered' music. Album art is available here, here, here and here. Reviews of the CD were uniformly good.